Welcome to the world of healthy weight loss and diets that work! There are so many weight loss centers and weight loss clinics being opened daily. How about the new green tea weight loss programs? I am a weight loss doctor who achieves lasting results with patients. PLEASE read on to find out how. As a naturopathic doctor, I have seen and heard of all kinds of diets. There is so much media and hype about the BEST weight loss programs and which weight loss clinic is getting results. Some create the outcomes sought and some do not, but there is a successful way to experience weight loss at a weight loss center with diets that work. Effective, lasting weight loss is best done under the supervision of a weight loss doctor who also acts as your "weight loss coach." A thorough understanding of physiology and how the human body works is essential to tailoring the best weight loss programs. People experience positive results when their plan considers fat loss rather than the conventional weight loss. In doing so, the entire body is considered, including the physical, physiological, and mental functions of the body. Weight is just a number and not a great marker of health. Too many diets starve the body, break down muscle, and create hormonal imbalances. 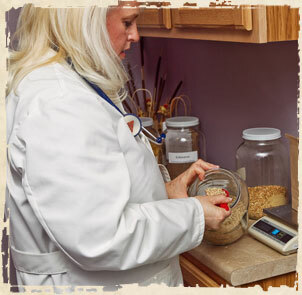 Determining both the quality of the patient's nutrition and any weaknesses the patient has is essential. Patients are taught how to eat properly, how often to eat, what to eat, and how to modify behavior to meet with success. For example, did you know that a glazed donut has the same number of calories as 3 ounces of 85% lean, ground turkey meat? What do you think will be more satisfying for the body and eliminate cravings? Many of us already know the answer to this. The answer is: turkey. Because turkey is an animal protein, it will carry the body much longer from a metabolism standpoint as compared with a sugary donut. The donut will create more sugar cravings and fatigue about twenty minutes after consuming it, producing a sugar crash and the need to eat more. In determining where the body is not physiologically functioning to its optimum ability, different considerations include possible hormone imbalances; amount of sleep; water intake; body movement and exercise; stress; and more. One must consider not only how many calories are taken in, but also how many calories are expended, since fat loss is related to calories being burned. Fat loss is also related to hormonal balance and an eating plan that produces good metabolism. What is usually the first thing to get eliminated from our day when we become overloaded? That's right! Exercise. Moving the body and exercising are also essential for fat loss; the body is meant to move and not to remain stagnant. Finding what exercises work for patients in their personal schedules is a part of the plan. Lean body mass, which is a total measure of non-fat body compartments, is equally as important as fat pounds. I use a Body Impedence Analysis (BIA) device (1) to evaluate body composition changes, (2) to detect an altered body composition, which allows for earlier intervention for serious diseases such as, but not limited to, diabetes and heart disease, (3) to develop suggestions for a nutrition plan, nutritional supplementation, and exercise. In conjunction with the BIA, I also consider each person's clinical and physical examinations that include lab work and imaging to create an individualized health and wellness book. Why take the time to do this? Each person has an individualized protocol and plan for fat loss. It is so frustrating to hear so many confusing messages about the best weight loss programs and which weight loss clinic has outstanding results. The bottom line is patients want a diet that works for their lifestyle and they want to be successful in their goals. There is no "best weight loss" program. The most successful program is the one where lifestyle and behavior modification changes are made and patients are taught tips on daily eating and living. Call me today at 603-742-4114 and let's get started together. I will teach you how to eat a fat loss, whole foods diet and how to work to balance your body so it can properly function physiologically. We can work together to get the results of your dreams! I am here to work with you! Meet Dr. Holly Donahue, a Licensed Naturopathic doctor who believes that nutrition and lifestyle must work together to overcome illness and maintain health. Contact Dr. Donahue to learn how you can tap into your body's inherent natural force and win your life back once and for all.